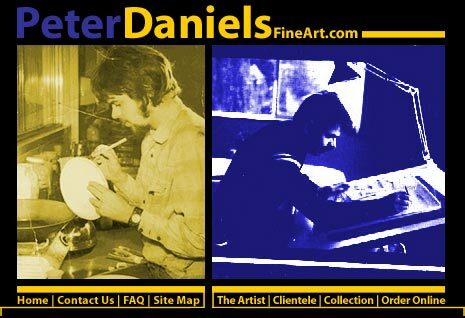 aaaWelcome to the online gallery of Canada's very own Peter Daniels. Born and Raised in British Columbia in thePacific Northwest, Peter has adapted a unique style of painting delicately colored plants and animals that inhabit ethereal landscapes. Peter evokes a world about to be lost, but still depicts the daily habits and seasonal rituals of wildlife in a gentle and unassuming style. As well, Peter paints landscape, heritage and people in his distinct style. 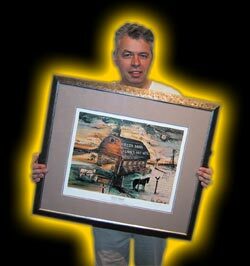 This world renowned water color and acrylic painter has a distinct following of collectors such as Red Robinson of KVOS-12 TV and CISL-650 radio, and many other collectors who have followed Peters shows around North America collecting various pieces. Please browse the online gallery, and feel free to contact Peter for any questions or comments about his work. Thank you again for visiting Peter Daniels online gallery.